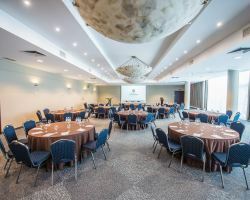 ​Our professional team at Bellevue Park Hotel Riga will ensure the successful run of your event! Our modern facilities will be adapted to accommodate your every need! By organizing a wedding at our hotel, you automatically eliminate worries about catering and wedding cake, since we will take full care of it. 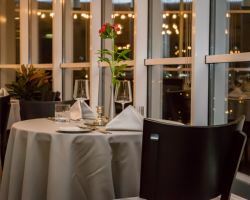 In the Bellevue Park Hotel Riga you can choose the most suitable elegant and exquisite menu taking into account all the wishes of vegetarians and vegans. Your wedding cake is a very important aspect we can take full care of, you can order your wedding cake from the hotels restaurant confectioners, and they will create your special wedding cake according to all your wishes. There may be up to 4-tiered cakes, with or without a cake stand. In Latvia it is officially allowed to register wedding outside the Registry Office premises. A wedding ceremony can take place in a hotel, a park or any other place. 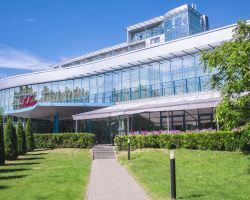 The interest in it is quite large, and followers of the modern weddings are taking the advantage to use this opportunity in the Bellevue Park Hotel Riga, since any of the hotels banquet halls can be adjusted for a wedding ceremony.